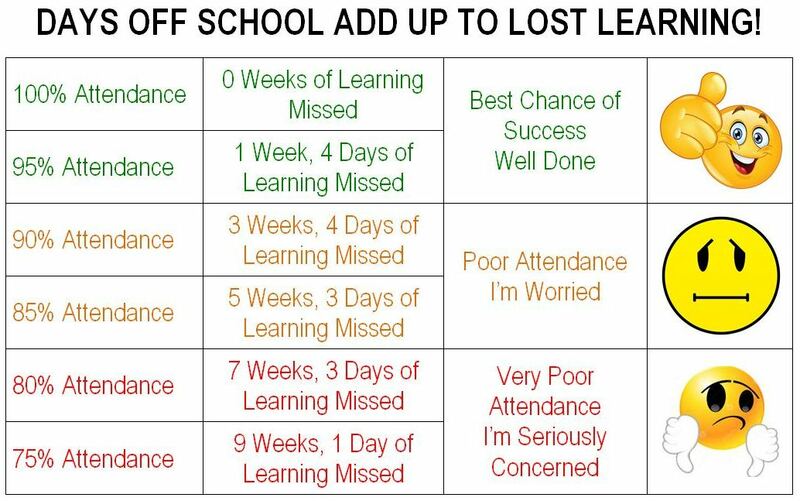 National research has been carried out concerning the correlation between good attendance at school and academic performance, this is hugely significant especially at external examination level which starts in Year 10 for every learner. Learners at Lliswerry achieved record passes once again this summer. The learners who achieved the best results A* – C at GCSE had an attendance record of 95% – 100%. The school has a reward system in place for good attendance and we expect a minimum attendance from each learner of 93%. If you child has a cold or runny nose but it is not necessary to take them to the doctors or keep them at home, please send them to school. If your child is too ill to come to school please telephone and speak to one of our Attendance Team so that we can apportion a medical mark against the name rather than it be recorded as truancy. The school operates a first day response for the absence of learners, parents/carers will be contacted by our Attendance Team for a valid reason of absence on the first day of absence. Parents are reminded that they should not allow their children days off from school for birthdays or the last day of each term. Appointments for the Dentist, Orthodontist or Doctors should to be taken outside school hours if possible, at worst a short period within the school day then a return to school and work missed copied up. Family holidays are not authorised and should be taken outside term time and if holidays are taken during the school term absences will be marked as truancy and a fixed penalty fine may follow. Parents and carers are reminded not to take their children out of school during the external examination periods as these examinations cannot be re-taken and you will be charged the entry fee for each examination.